Now, before you stop reading, realize that I’ve been dreading and struggling with writing this piece. I hate admitting to being an avid fan of anything because as soon as I say it out loud, I know that people start to make judgments, that I begin to define myself in their eyes, and inevitably the haters come out. I was at a bar one night, and the bartender, muscular and tatted up, asked how I was doing. A DMB song had just come on and I said “Great, especially with this song playing.” He listened for a second, recognized the song and said, “Yeah, it’s so easy to bag on Dave Matthews.” My immediate impulse was to launch myself across the bar and grab him around the neck and…and, well I really didn’t have a plan after that. I’m sure the aftermath would have involved ambulances, broken bones, and various lacerations, all at my expense. That’s the problem with being a devoted fan. It creates a huge blind spot in my brain and a complete inability to understand, or in severe cases, even stay in the same room with someone who doesn’t get it. My musical tastes got frozen in the music that spanned the 60’s into the late 70’s. I skipped the ‘80’s and 90’s entirely (I mean, Depeche Mode—really?). And then as my son entered college and my daughter was in high school, they began to help me thaw and begin to listen to new music. My son’s partner has taken it upon himself to create new CDs for me every year for Christmas to introduce me to new music that he knows I’m not listening or to fill a gap that he feels is unacceptable for someone who really loves music. My fascination with the Dave Matthews Band began when my daughter and some of her friends dragged me to my first DMB concert in 2004. I didn’t know a lot of the music but what caught me was the raw energy and enthusiasm of the band. The guys had been on tour all summer with San Diego being one of the last stops, and yet they played as Rolling Stone magazine once described, “as if their lives—and yours—depended on it.” That visceral passion was what initially plugged me into the band’s sound and drew me to collect and listen constantly to the ever-changing concert versions of their songs, some of which are now 20 years old. My wife dislikes his music commenting, “I just don’t like his voice.” Nobody likes his voice, I think to myself. He’s not a smooth crooner. He’s got a rusty, gutsy voice like a Ryan Bingham or a Seth Avett. He admits he just mumbles his way through some lyrics especially if he forgets them on stage. He says that he feels grateful that he gets to go out every night and scream at the top of his lungs. In watching some interviews on YouTube, he rates his musical skills negatively compared to others he admires such as Neil Young and Bruce Springsteen, but if you watch him closely as he plays in concert he’s changing chords constantly, sometimes syllable by syllable to create the sound that he wants. As he plays the same songs night after night, the band improvises, constantly blending the intro of one song with the body of another and effortlessly weaving in the work of others into his original works. Don’t be surprised if suddenly you hear “Fools Rush In,” “Somewhere Over the Rainbow”, or “This Land is Your Land” popping up in the middle of an old DMB standard. One of my favorite improvisations was the summer he took the popular “Everyday” and gave it a reggae rhythm and then wove in a short tribute to Hugh Masekela’s “Grazin’ in the Grass.” I heard it on that one night and never heard it again. If you have ever watched him in concert, you know that Dave does not have an easy, bantering relationship with the audience. The first show I saw, I think the only thing he said to the crowd was several variations of “Thank you.” It’s almost worse when he does start talking, often drifting off into nonsensical chatter. It doesn’t matter. His fans connected with him long ago through the music and will wait patiently for him to stop talking and launch into another song that everyone in the audience seems to already know word for word. While some of his songs have a clear focus and straightforward lyrics, others are mystifying. I still do not know who the Nancies are or why they are dancing. I have seen or experienced or met a “Jimi Thing” nor have I come across a “river of Jimi.” I do not know why there is a warehouse in the song “Warehouse.” I’m a lyrics guy, lyrics matter to me, but when it comes to Dave, I just know that sometimes I have to let the music take me and forget about understanding every little thing. I wonder if he even knows what some of this stuff means. So, maybe the bartender did not deserve the imaginary beating that I inflicted on him that night. 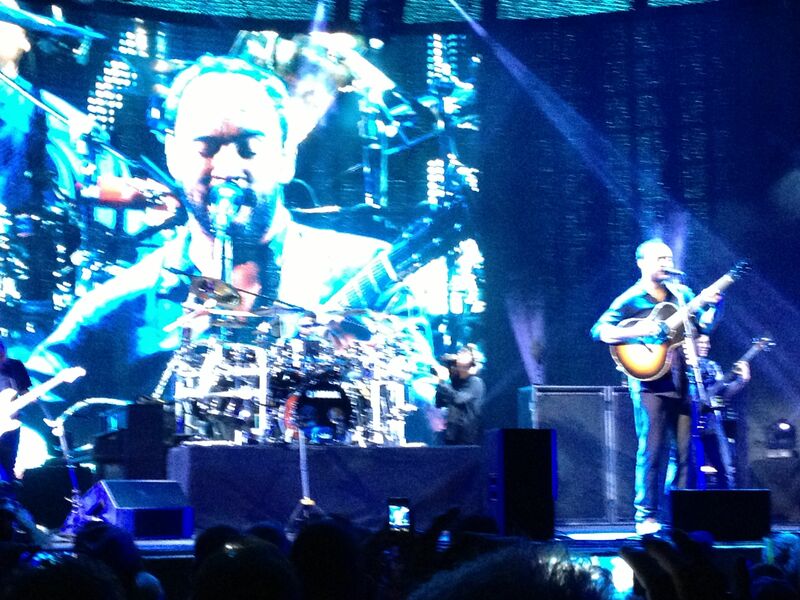 Maybe there are a lot of reasons to bag on Dave Matthews. Yeah, I don’t want to see me dissolve into that. For now, I will kindly accept all attempts to get me to broadening my music appreciation while I peacefully ride my inner tube down that river of Jimi for the foreseeable future. As a fellow super fan, I just wanted to tell you I loved this! 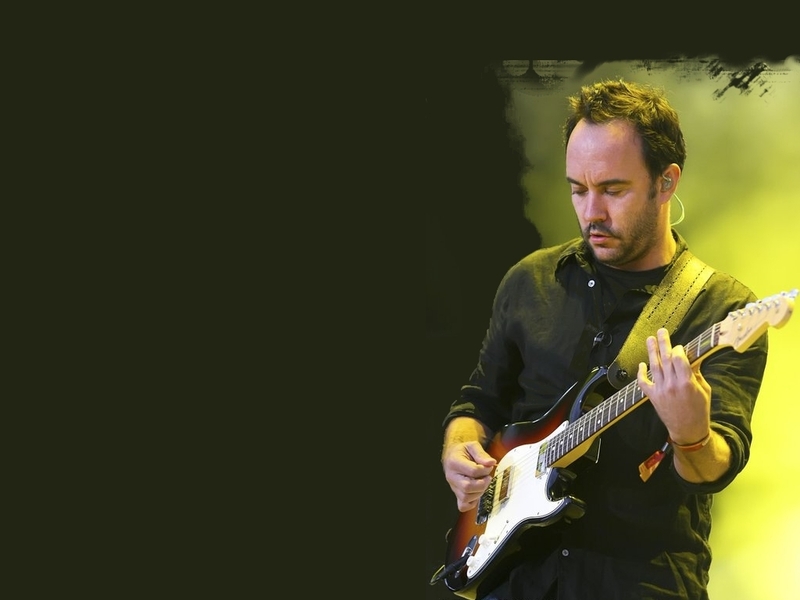 I actually came across this blog while googling to find some inspiration for using a DMB song in a lesson when I teach Intro to Lit in a few weeks. I know that bringing in a song will reveal my obsession, and I worry I will automatically want to fail any student who makes fun of it. 🙂 On the other hand, I can’t think of a better artist to use to help students learn the wonder of trying to decode lyrics. My hope is that it leads well into a poetry unit. I’ve often said the same exact thing as you: DMB is the soundtrack to my life thus far. Happy listening! Ever notice how everyone lights a joint during the intro? Jimi thing= Marijuana. Sometimes it keeps me swinging. And the warehouse? It’s him. His person. It’s scary in the warehouse, until you grow up a little, then you learn to love to be there. I’ve been listening to DMB since ’96 and my addiction also causes me to discredit those who don’t get it. Alicia, Thanks for the response. You’ve been there almost since the beginning. I’m looking forward to the summer tour–have tickets for his shows in San Diego and Irvine. Question: did your daughter enjoy the show as much as you? And is she a super fan? DMB IS ALSO “the soundtrack to my life” I’ve followed them since the played at a small bar in Knoxvilke Tn called Flamingos . Thus was way back when in my college yrs. 1994 to be exact. Maybe a total of 300 people was there. (Actually it’s all the small bar could hold). I’ll stop rambling now.. Great article! Thanks for the response, Chad! My daughter’s musical tastes continue to evolve and be more diverse than mine, but we still see at least one DMB show together every summer. It must have been amazing to have been there at the beginning and get to see them in such an intimate venue when they were just getting it together. 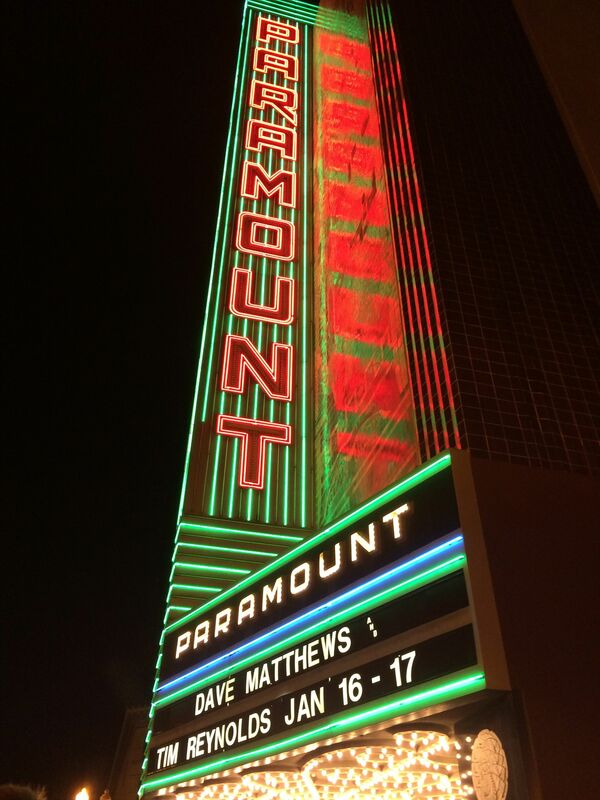 I did get to see Dave and Tim at the Paramount theater in Oakland a couple of years back, a cool old theater venue that held 3,000. Glad you enjoyed the article.